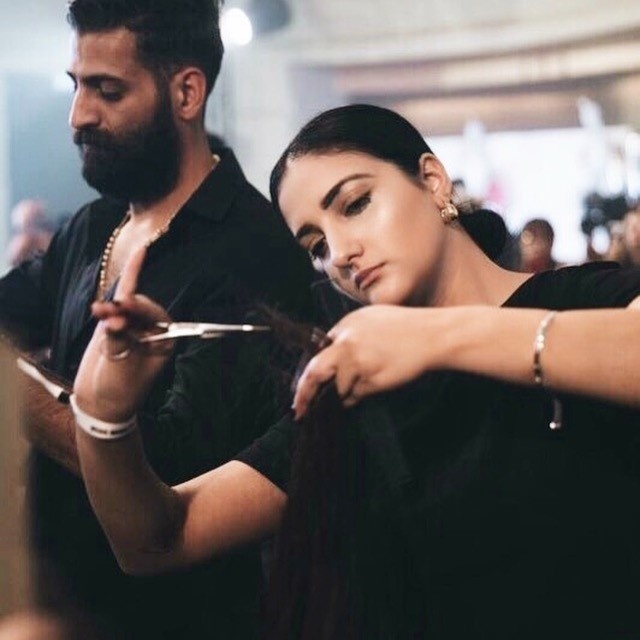 HDC grad, Deena Alawaid is a 25 year old hairstylist currently calling Dubai home. We were able to catch up with Deena, who graduated back in 2011, to see what she’s up to – gracing the pages of VOGUE ARABIA and Harper’s Bazaar to name a few. I had been in university studying marketing when I realized that hair was more of a passion than a hobby for me, so I took a risk and changed my career path. Did you notice a difference in the amount of hands-on work we offer compared to other schools? At the time, no, however – being abroad and comparing my education to other, yes! What were the best & the most challenging parts of your education? The first few weeks of the program when you’re dying to get out on the floor and work on REAL humans haha. But they’re also the most essential weeks of the program. How are you enjoying your current role? I am so obsessed with every aspect of my career. You do both color and cutting/styling. From a color perspective, what would you say is the most important thing you learned from the HDC programs? Basic color theory. Honestly, once you know the rules you can break them but if you don’t have the basics down to a T then you’re screwed. It’s not as glamorous of an industry as you think it is. Don’t get me wrong I am absolutely blessed to be able to travel for my career and meet so many amazing people however there are a lot of early mornings, long nights and just full out exhausting moments. You have to truly love what you do and give it 110% all of the time to succeed in this industry. I’m mostly based in Dubai where I work out of SLaM salon for cuts/colors and am represented by MMG artists. However, I also travel all the time. Was there any hesitation or nervousness on your part about pursuing a career in hair? Yes! I think having already been attending university actually made it harder because I had a lot of people voice their opinions to me. If anything, it just made me work very hard to prove myself and my choice to others. What’s your favorite thing about hair? It’s never the same! Every client and every look are different. What’s one of the looks or styles you’ve done that you’re most proud of? Three years ago, I was chosen to do hair for VOGUE ARABIA and to me that’ll always be my favorite. It’s when I had my aha moment and realized “wow, everything I worked so hard for is paying off”. What an amazing accomplishment – how were you chosen to work for VOGUE ARABIA? I’m a firm believer that your craft is important but so are your networking skills. You have to reach out and introduce yourself to the right people – take a risk. I had introduced myself to the beauty editor and left her with a business card. A while later, I was contacted. Getting to travel the world, meet new people and work for some of the biggest names in fashion. Also, anytime I see my work in a big fashion magazine or on screen or on a billboard – it’s always a pinch me moment. We’re a little star struck! Any chance you could name drop some of the fashion houses and magazines you worked with? Did one stand out more than the other? If so, why? I’ve worked with Chanel, Missguided, VOGUE, Harper’s Bazaar, Zimmerman and Nico Panda. Those are my highlights for sure. Spending time with my loved ones. When I work, I commit myself to my career fully so when I take some time away from it I like to be surrounded by people who love and support me. It’s all about hair accessories this season so I’m always looking at new ways to incorporate those into my styles. 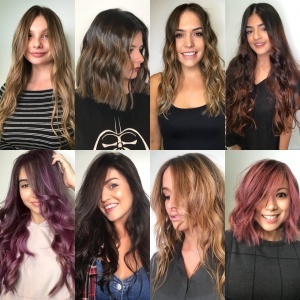 When it comes to coloring – Balayage. Yes! I like to post engaging content frequently so that my followers aren’t bored. I’ll either educate them on a new style or technique, or I’ll ask them what they want to see. I post tutorials as well. And stories! If you can’t post every day on your feed at least post on your story. People love feeling like they’re a part of your day to day life and are benefiting from your page. What are some goals you have for yourself? My next big one would be the Victoria Secret fashion show. I’m putting it out into the universe and hoping it’ll unroll the way I want it to haha. Is there training or info from a certain class in the Hair program you took at the HDC that you still think of when you’re working? Basic cutting and basic color. Honestly after that you’re free to develop your own strategies. You learn the rules just so you can break them. What was your favorite class here? Did you have a favorite teacher? Like I said I had an amazing group and I wouldn’t be where I am now without any of them so I’m just thankful for the entire staff. More than the actual color/cutting/styling skills I think you need to have people skills to really make it in this industry. People come for YOU. They request YOU. Your work being great is a given but you gotta have something about you – that relationship – to keep it working. I have two rules when it comes to my career. 1. NEVER do anything for free. You’ve studied and you’ve worked hard to get to where you are. It’s your career. Treat it like one. 2. Never stop educating yourself. You never know everything. There is always something new to learn or someone else you can learn from. Remember that!